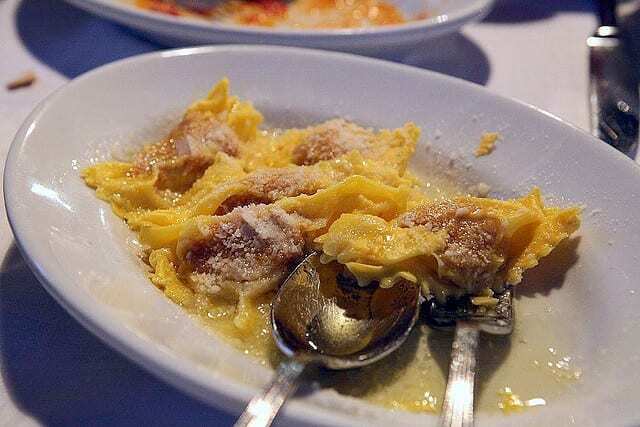 Want to try some of Italy’s best foods with one of our expert foodies? Check out our food tours in Italy! Autumn is a great time to visit Italy. With less people and nicer temperatures comes the harvest season! As well as being regional, Italian food is very seasonal: Recipes change depending on what produce is on offer (and what feels right to eat with the weather!). Fall in Italy offers an abundance of warm, hearty meals filled with in-season produce. We love Italian food, and we especially love these in-season dishes for a lovely fall day. ‘Tis the season for porcini mushrooms—and after winter’s intense cold sets in, you won’t see them again until May, and only briefly. Now, when the weather’s rainy and crisp, is when these little mushrooms are growing in the hills of central and northern Italy. Even if you don’t love mushrooms, try these: They’re like little melt-in-your-mouth bites. 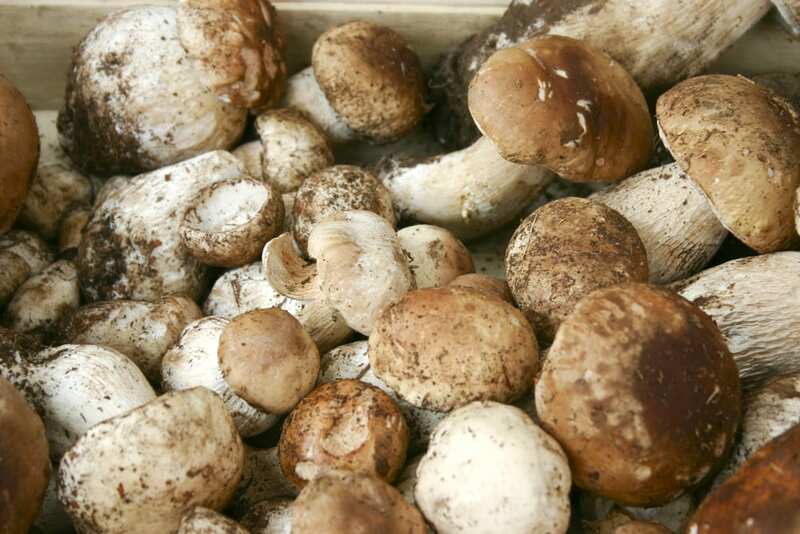 You can find porcini mushrooms served alone (usually simply sauteed or grilled) as a contorno, or sprinkled on top of pastas, in the regions above and in Umbria and Tuscany, too. But we love the variety with risotto, a northern specialty. 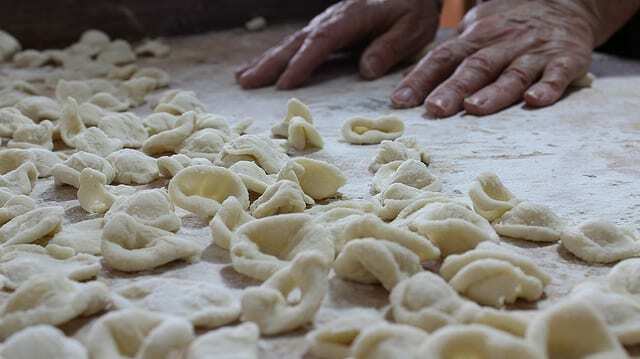 Orecchiette is a small pasta originating in Puglia, shaped like little ears (orecchie is ear in Italian, –etto a diminutive implying smallness.) The concave shape makes sauces and oils stick to them, perfect for Puglia’s quality olive oil. Combine the two with orecchiette con cime di rapa, or broccoli rabe; a mix of local pasta, with local olive oil and the local broccoli harvest! 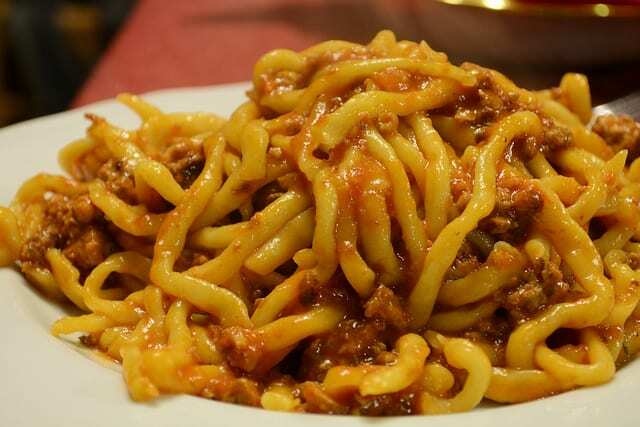 Then move on to more of Puglia’s most famous (and delicious) dishes. Yes, you can find chestnuts year-round, at least being sold by vendors on the streets of Rome, but it’s best to steer clear. The best chestnuts are those fresh and in season in autumn and winter. 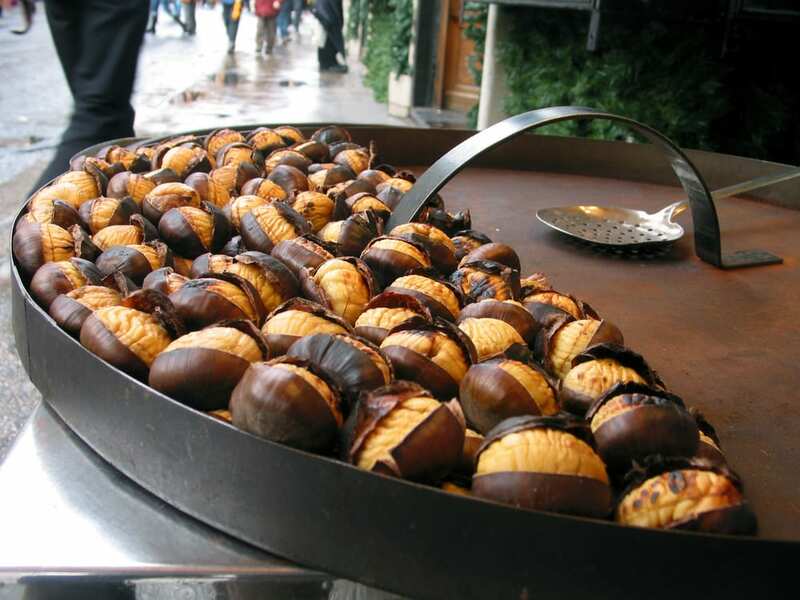 You can find a variety of chestnut-based dishes across Italy (some quite creative, like a minestrone of chestnuts from Abruzzo or chocolate and chestnut-filled pasta from Emilia-Romagna). Our favorite, though, is the castagnaccio, a dense cake made out of chestnut flour. It’s typically associated with Tuscany and Umbria, but you can buy it in Lazio, Liguria, Piedmont and Emilia-Romagna, too. We love tartufo, or truffle in English, but we especially love local tartufo! A gourmand’s dream, truffles are the gems of the forest. They’re mushrooms, but unlike any you’ve ever tasted. Autumn means tartufo sagre throughout Italy. 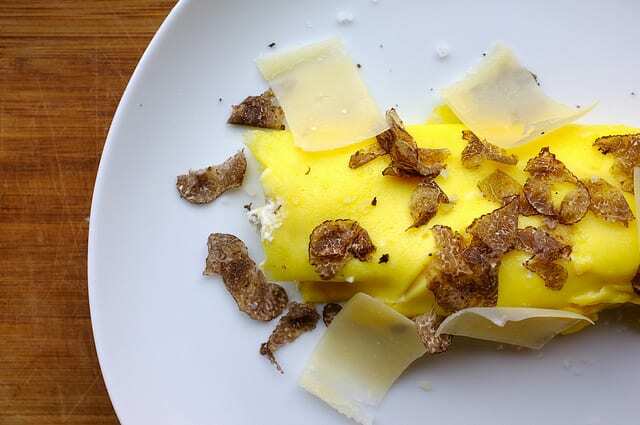 You can find truffles shaved on pastas, omelettes and in sauces in Piedmont, Lazio, and of course throughout all of central Italy, especially in the small cities throughout Umbria. Try the always popular pasta al tartufo, more specifically the strangozzi al tartufo, like we also discussed here. If you’re feeling more adventurous, you can choose something with a bit more of the flavorful mushroom, such as crostini al tartufo nero, bread with a tartufo paste on top, or a tartufo omelet. 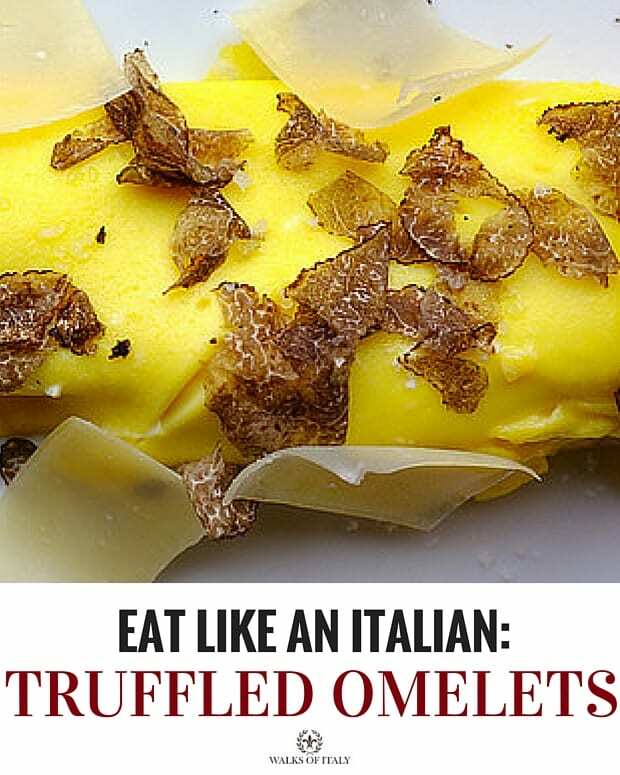 Really, during truffle season you can order just about anything with it sprinkled on top! Tuscany is a mecca for Italian food lovers, and like Tuscans, this fall we’re searching for the more rustic tastes traditional of Tuscan cuisine. Cinghiale might seem like a strange choice for American palettes, but the meat has a rustic taste that pairs perfectly with the outdoor trips through changing leaves and is just warm and hearty enough to beat the cold. Try the classic pici pasta with wild boar ragù or the ever-popular pappardelle with wild boar ragù. With November comes the start of hunting season on cinghiale, or wild boars. That means lots of opportunity to try this game, a particular favorite in Italy’s smaller towns and countryside. Although you can taste wild boar in salumi (especially in Tuscany and Umbria), ladled over pappardelle, or, of course, pici, we like it as this simple and delicious secondo, sauteed slowly with onions, carrots, celery, and spices. The first cold of the year marks the start of the classic minestrone di verdure, or vegetable soup made with vegetable broth. Found throughout all of Italy, each region, city, even each cook, has their own recipe and take on the traditional dish. 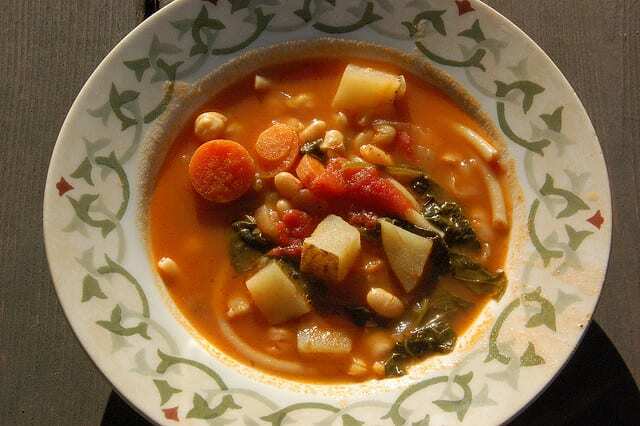 Usually this is based on the local vegetables and harvest, but in each minestrone there is a common denominator that’s usually celery, onion and carrots, zucchini or potatoes. And after? 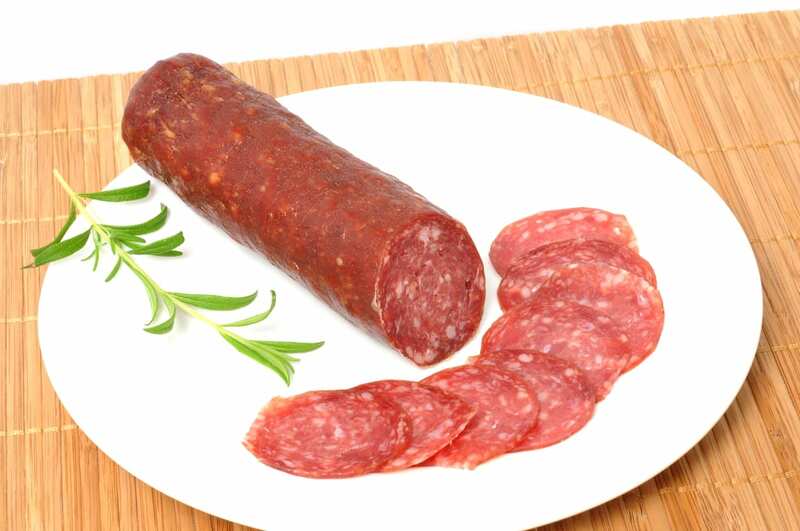 Prepare for winter with 6 Italian foods perfect for a winter day! Straddling the border between Italy and Austria, Trentino-Alto Adige has adapted the classic Austrian apple strudel into it’s every day diet – every day in fall at least! 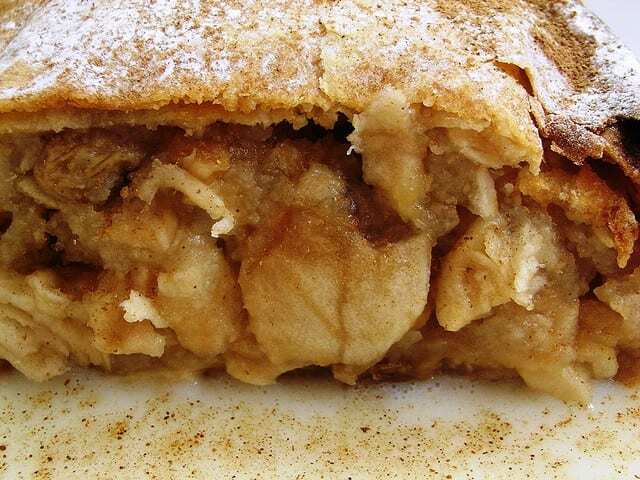 In the strudel, a warm, thin crust wraps around a mix of cooked apples, cinnamon and often pine nuts or raisins. Trentino cultivates DOP apples or Denominazione di Origine Protetta, protected origin status, and the Golden Delicious apples grown there are just sweet enough for this delicious fall dessert. Legend has it that the name comes from the first person to ever try these cookies, Salvatore. Totò is a common nickname in Sicily for Salvatore. Photo from Panificio Astone. Biscotti Totò are a typical Sicilian cookie made exclusively in the autumn. More specifically, these are made to celebrate All Souls Day, or Day of the Dead, on November 2 and their smell in Sicily reminds many of the true start of autumn, when even the south begins to cool down. In fact, these cookies are also called “biscotti dei morti” or “cookies of the dead”. Don’t let the name scare you off, these are made to cheer up family members sad about the loved ones they’ve lost and transform the morose holiday into a reason to celebrate. Plus, they’re delicious! Irregular round balls of chocolate – often with cinnamon added – are covered in a chocolate glaze or non-chocolate styles are covered with a lemon glaze. When these fill the windows of Sicilian pasticceria, you know that autumn is in full swing! this is one of my favorite places with the best food…take a trip there and you will find out trust me for everyone who doesn’t mind trying new things.